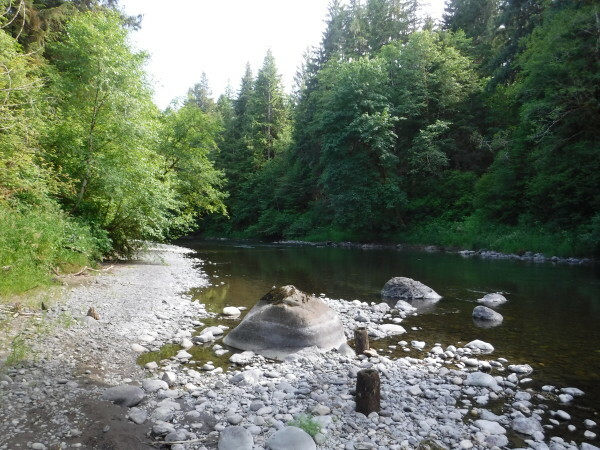 The Sol Duc River originates in the Olympic mountains and drains into the Quillayute River. This river system is home of a variety of species of Salmon, Stealhead and Trout which offer many excellent fishing opportunities for Washington anglers. For Sol Duc River fishing access see map below. High Bag Limit, depending on the season daily limits for Stealhead can be up to three a day and Salmon up to Six. See Washington State fishing REGS for details. Salmon Run information is provided by the Washington Department of Fish and Wildlife. Fishing on the Sol Duc is pretty much year Round, Steelhead in the winter and fall, Salmon Summer to Spring and a Winter Run as well. You’ll see people fishing but not back to back, As always eye protection recommended.